Maintenance is key to keeping your HOA looking beautiful. Waterproofing your buildings is of vital importance, not just for looks, but for longevity. Keeping wood rot at bay should be at the forefront of your mind as a building manager. Waterproofing the exterior, and in some cases the interior, of your structures should be done routinely. Waterproofing is especially crucial in areas that have a high probability of moisture, as the dampness can invade a structure and create a myriad of hazards and issues for the owner. You may be confused as to the difference between a waterproof barrier and a water resistant barrier, so let's review the uses of both. This is why complete waterproofing is recommended to all HOAs. As you can see, there are many reasons for waterproofing that are beneficial to your home or building that you might not have known or thought about before. Not only should you consider waterproofing the exterior of your structure, but in some cases you should consider waterproofing the interior as well. When starting new construction or building new condos, homes, etc, consider having a moisture barrier applied to concrete floors. Doing this can prevent seepage or other future problems. If you have basements, it's a good idea to apply a moisture barrie on the inside as well, as moisture from within the ground can seep into the walls and create mold. Elastomeric Coatings – This can be used on both the exterior and interior portions of walls. 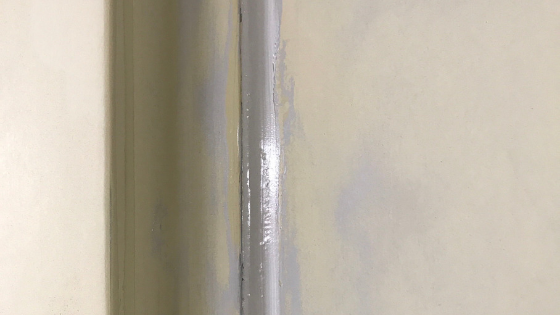 Caulking – Should be added around all openings within or on the structure, such as windows, areas where there are any gaps within the walls, and around all vents and areas of exposure on the roof. Waterproof Membrane – This should be added at the time that the roof is being applied, as it enhances an additional layer of protection between the roofing material and your structure. Just remember that before you start waterproofing your structure to make sure that all the surfaces are clean and free from debris. Doing so will ensure the best possible adherence of the waterproofing substance. Waterproofing is an importance step in building maintenance. Taking the time to waterproof will save you money in the long run. As a building manager, it's your responsibility to keep your structures in the best possible shape. Contact a qualified painting contractor to help you achieve the best preventive maintenance possible.